According to the historian, the mysterious manuscript he mentions may hold “the answer to all the things we are looking for regarding the history of the pyramids of Egypt”, even though the book seems to have “disappeared from history” completely. Historian Matt Sibson, author of the Ancient Architects channel on YouTube, has declared that one millennia-old document may finally allow scientists to uncover the secrets of some of the most enigmatic buildings in the world – the Egyptian pyramids. As Sibson explained, a Egyptian priest and scholar named Manetho who lived around 300 BC came in possession of a "sacred book" written by Suphis, 4th dynasty king "believed to be the same person as Khufu", the legendary pharaoh who is believed to be the person responsible for commissioning the Great Pyramid of Giza. "The sacred book intrigued me as it has never been spoken about before or since", he told the Daily Star. "It’s interesting that the two pieces of information Manetho records about Suphis is that he built the Great Pyramid AND wrote a sacred book. I think this means that the two are related. Maybe the sacred book holds all the answers to the pyramid conundrums". He pointed out, however, that the book “seems to have disappeared from history” as none of the later works contain any mention of this manuscript. "I have a feeling that this book holds the answer to all the things we are looking for regarding the history of the pyramids of Egypt", Sibson stated. 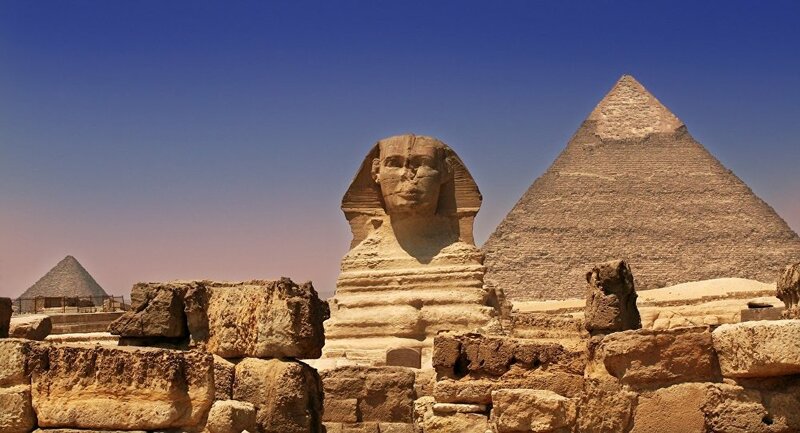 Earlier this month, Sibson also claimed that two missing ancient stelae that used to be located in front of the Sphinx may help solve the mystery of an enigmatic doorway rumoured to be located beneath that ancient monument.